C-plane protocol procedure testing is mandatory, and it includes both functional testing and load testing. There are multiple protocol procedures in the C-plane, and all the procedures are covered in this section. Equipment vendors test RRC connection establishment/release procedure as a functional test in the early phases of eNB system testing. The first step in evaluating C-plane protocols is testing the basic functionality of the system, such as connection establishment/release procedures for LTE eNBs. 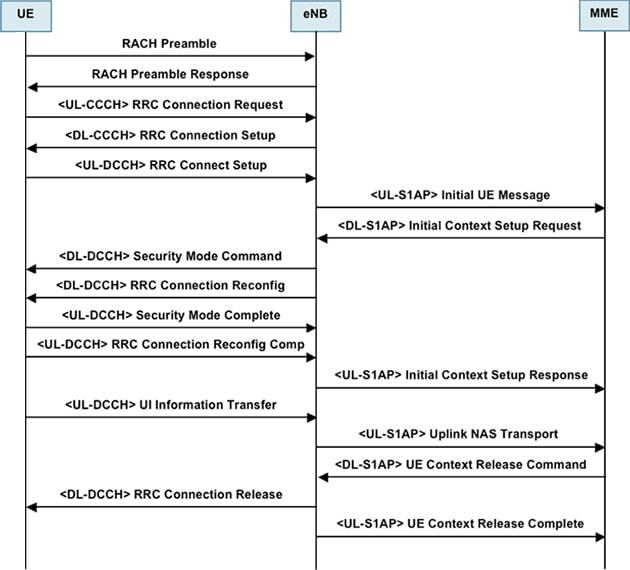 For the RRC protocol in E-UTRAN, there are only two states, RRC_IDLE and RRC_CONNECTED (see Figure 1: RRC Protocol State Transition), so that connection can be set up faster. 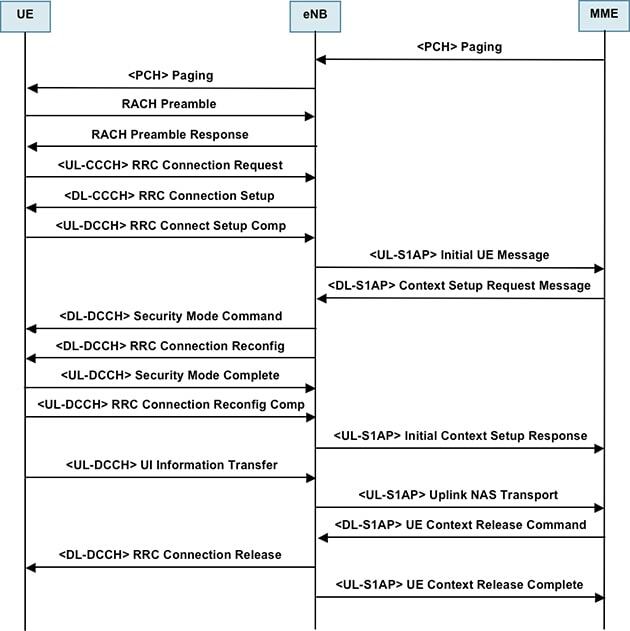 The connection establishment and release procedure initiated by UE on the Uu and S1 interfaces is shown in Figure 2. The paging (connection establishment and release procedure initiated by E-UTRAN) procedure on Uu and S1 interface is shown in Figure 26. Details on the RRC protocol procedure are explained in 3GPP TS36.331. In order to properly evaluate C-plane performance of LTE eNBs, a reliable transition between these two states is critical.